It used to be that a few days before I left for an overseas trip I would make a couple tapes of my favourite radio station to keep me company when I was far away from wherever it was I called home. What I wanted to capture on the tapes was not so much the music but the commentary from the DJs, the ads and the call signs that regularly broke into the program. In a strange town or in a cramped damp hotel room the tapes connected me with ‘home’ in a way nothing else could. Now we have internet radio and can get any radio station in any corner of the world as long as there is a hotspot or broadband jack. 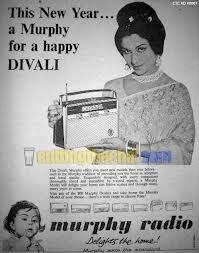 The need to make home radio tapes suddenly ceased to exist. This is sad. I’ve only ‘worked’ in radio for a very short time, a time that was in no way very mysterious or magical. I was for a few weeks a news reader for the local University radio station. So I am not one to wax lyrical on the ‘golden days’ of the wireless ala Garrison Keillor. But even a hack like myself can get that magic does indeed lie between the squeals and snaps that come out of the little box. 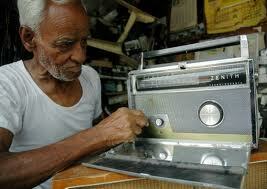 Growing up in India in a time where TV was not yet a cultural phenomenon, radio was the main way to hear music. My memory is packed with shards of sound-- shrill and irritating, weird and bizarre, solemn and joyous—and echoes of voices that I only later identified as Kishore, Rafi, Hemant Kumar and Asha. There are more than a few advertisements tucked away in there too, like this one for a chocolate powder that one mixed in milk at breakfast time. 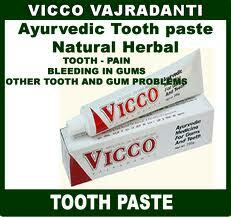 Vicco Vajradanti Vicco Vajradanti/Tooth powder tooth paste! It was with great surprise that several years ago I stumbled upon tonight’s selection, at the Sublime Frequencies website. 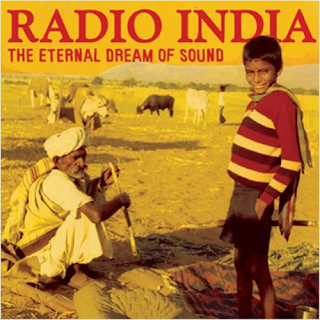 A double disc collection of radio programs from across north India on which every sort of music India has ever produced can be heard. Film songs, classical ragas, Sunil Ganguly’s swinging guitar hits, English-language pop songs, interviews with startled British tourists, bhajans, snippets of comedy, advertisements, keening shenais, doleful sitars, local talent shows, disco and the ruminations of DJs on local and personal matters. All in all, a wonderfully glorious extended soundbite of the sounds of India. Indeed, the title of the album, The Eternal Dream of Sound, is just perfect. 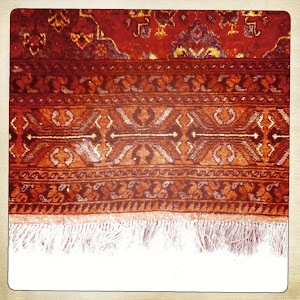 If you have ever travelled by train across the vast plains of India you’ll recognize these sounds. They were the ones that you could hear down at the end of the compartment where a group of fellow travellers surfed the dial for a station that didn’t fade away. If you have ever walked through a bazaar in the afternoon these are the sounds you’ll hear coming from each chai shop along the way. Thank yous must go out to the boys at SF for thinking of putting these sounds together!